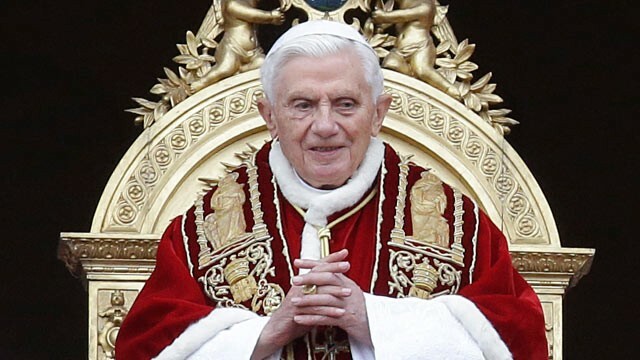 Pope Benedict XVI, now gloriously reigning! With the rest of the world we are in shock at the news of the Holy Father’s resignation; we offer him our sincere gratitude and thanks for his too short years as Pope, but most of all we give thanks to our Almighty Father for the gift of his reign. At this time, when we all feel particularly close to the Holy Father and we offer our prayers for him and his successor, it seems particularly appropriate to sing this wonderful English hymn as a sign of our affection. God bless our Pope!